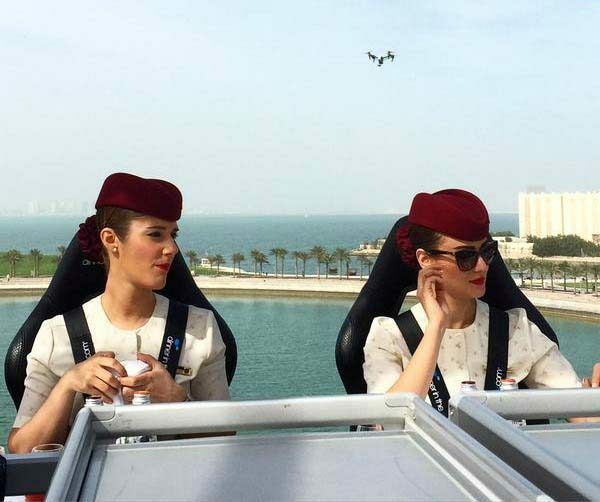 It is against the law to operate remotely piloted air systems (RPAS) in Qatar without government permission, the country’s Civil Aviation Authority (CAA) has said. The prohibition against unauthorized drone usage was published in newspapers this week. Reiterating a warning it issued last year, the CAA said the use of drones without permission “poses serious threats and hazards” to the country’s air safety and navigation. It also warned it would take legal action against any violators of the law. Qatar has been working on plans to develop a “space management concept” for more than a year now. The aim of developing a policy to regulate drone usage is to avoid incidents such as airport closures due to unauthorized RPAS in the area. “It is not a big issue, but we have to take care of it. Drones can sometimes be disturbing,” General Khalid bin Ahmad Al Kuwari said in June. Qatar is also in the middle of developing its own drone technology to protect its coastal borders. Last summer, the RSC signed a five-year research deal with Texas A&M University at Qatar regarding drone technology in the areas of defense, industry and commerce.